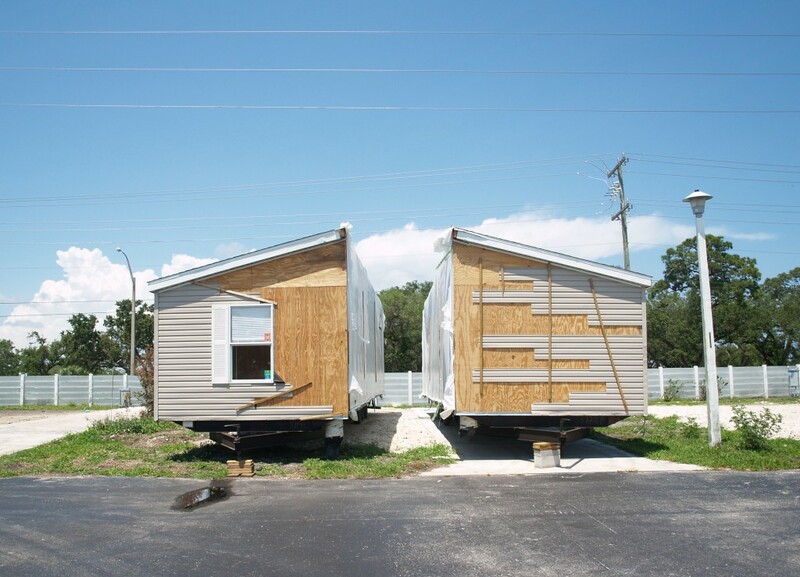 A double-wide home is split in preparation for it to be hauled out of a closing mobile home park in Florida. On Friday, news began to circulate from the White House that President Barack Obama would nominate San Antonio Mayor Julián Castro as secretary of Housing and Urban Development (HUD). On Thursday, the day before, Castro and his city council members reviewed and voted on a zoning change that would facilitate the redevelopment of the 21-acre mobile home park Mission Trails. This redevelopment will result in the eviction of 300 low-income residents. In 2011, I moved into a different 21-acre mobile home park as part of two continuous years of ethnographic fieldwork. I lived within, and was evicted from, these parks in Florida and Texas because of redevelopment. Like Mission Trails, the Florida Park where I lived was being redeveloped into a multi-million dollar mixed-use development. Like Mission Trails this required a single vote on a zoning change by our city council. Like Mission Trails the city council voted that the redevelopment was in the best interest of the city and evicted over a hundred poor and elderly homeowners. In our case, however, the next director of HUD didn’t head a council that listened to “a lengthy citizen-comment session when scores of residents and advocates delivered emotional appeals, often laced with tears and sobs,” or watched as two residents were taken to the emergency room when they fell ill during this public testimony. Castro made this plea in vain and the city council voted 6-4 in favor of rezoning Mission Trails and evicting its residents. The concurrence of these two events – the news of Castro’s potential appointment to HUD and the apotheosis of the human toll of urban growth – might seem propitious if it weren’t for the fact that mobile home parks operate (and close) with minimal state oversight, and zero federal oversight. Mobile home parks operate in a vacuum of federal and state regulation, and yet fulfill a crucial role in national affordable housing production. Understanding the spread of manufactured housing, over half of which is installed in mobile home parks, requires situating the housing form within historic shifts in the provision of affordable housing in the last four decades. Mobile home communities are not accidental enclaves of individuals making similar housing choices; they are the material expression of the gutting of federal subsidy of low-income housing and the privatization of affordable housing provision. The rise of manufactured housing occurred directly alongside successive cutbacks in direct federal subsidy for housing. Today HUD has experienced more budget cuts than any other federal level branch of government. And now manufactured housing makes up 66% of the new affordable housing produced in the US. As mayor of one of the first US cities to receive a grant from the new HUD “Promise Zone” program, Castro has experience leveraging diminished HUD funds to reinvest in high-poverty neighborhoods. But the job of secretary of Housing and Urban Development requires balancing the need for housing provision and housing security, with the needs of urban growth and economic revitalization. Here’s hoping Julián Castro can really move mountains. Esther Sullivan is a doctoral candidate at UT-Austin who studies urban sociology, poverty and inequality.